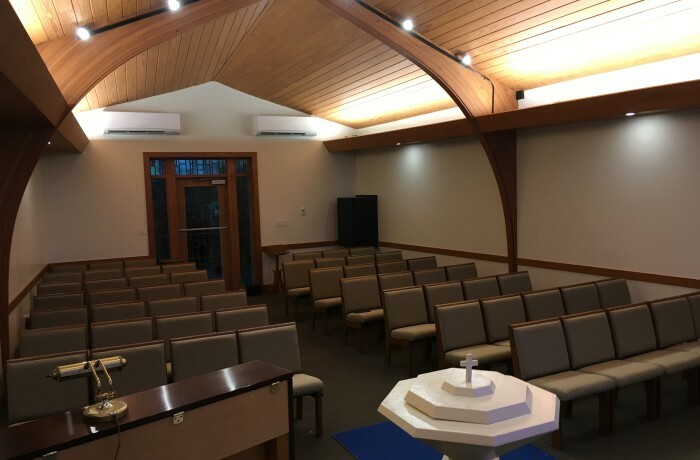 Woolace Electric recently completed a remodel of the Wesley Church chapel in Bryan, OH. Work included all new lighting and controls, as well as new spotlights to the pulpit, and downlighting and directional lighting for all general lights. Each of the new fixtures are LED and are dimmable. Work was completed in January 2018.